the theory and tactics of the world proletarian revolution in general and the theory and practice of the world dictatorship of the proletariat in particular. 8 ноября – знаковый день в новейшей истории Албании. Именно в этот день в 1941 году была основана Коммунистическая партия Албании (позднее — Албанская партия труда), под руководством которой албанский народ завоевал подлинную свободу и независимость и осуществил в своей стране коренные общественно-экономические преобразования. Десятилетия Народная Албания являлась единственным в мире государством диктатуры пролетариата, победоносно идущим по пути строительства социализма в условиях империалистического окружения. Утрата достигнутых завоеваний революции во второй половине 80-ых годов прошлого века и реставрация в стране капиталистических отношений в результате ползучей ревизионистской контрреволюции явились тяжелой потерей, как для самого свободолюбивого албанского народа, так и для всего мирового пролетариата в целом. Однако, воздух свободы, достоинства и процветания, который вдохнул в свое время трудовой албанский народ, невозможно было вытравить последующими годами реакции и оголтелой антикоммунистической пропаганды. «Никакой силе, никаким пыткам, никаким козням и никакому обману не вытеснить марксизм-ленинизм из умов и сердец людей», — говорил Энвер Ходжа. Именно в таком разрезе, рассматриваемое через призму исторического материализма, научно обосновывающего неизбежность развития общества по пути прогресса, нами было воспринято известие о создании албанской секции Коммунистического Интернационала (сталинско-ходжаистского). Выражаем уверенность в том, что организованная в канун очередной годовщины основания Коммунистической партии Албании эта секция станет продолжателем ее лучших революционных традиций и явится для подлинных албанских коммунистов объединяющим началом, которое обеспечит дальнейший успех в борьбе за те светлые идеалы, за которые отдали свою жизнь их отцы и деды. November 8 is a landmark day in the recent history of Albania. It was on this day in 1941 that the Communist Party of Albania (later - the Party of Labor of Albania) was founded, under whose leadership the Albanian people won genuine freedom and independence and carried out in socio-economic transformations in this country. People's Republic of Albania was during many years the only country in the world where the dictatorship of the proletariat existed, victoriously walking along the path of building socialism in the conditions of imperialist encirclement. 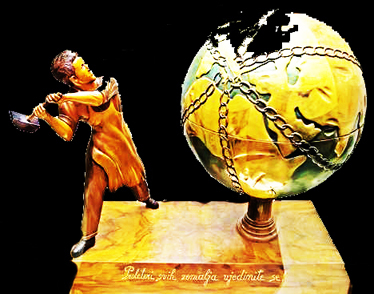 The loss of gains of the revolution in the second half of the 80s of the last century and the restoration of capitalist relations in the country as a result of creeping revisionist counter-revolution were heavy losses, both for the freedom-loving Albanian people, and for the entire world proletariat as a whole. However, the spirit of freedom, dignity and prosperity, which is inherent to the Albanian working people, was impossible to eradicate even in the subsequent years of the reaction and rabid anti-communist propaganda. "No force, no torture, no intrigue and no deception can eradicate Marxism-Leninism from the minds and hearts of men" - said Enver Hoxha. The foundation of this Section, viewed through the prism of historical materialism, is scientifically justified by the inevitable development of the society on the path of progress. That’s how we understand the news of the creation of the Albanian Section of the Communist International (Stalinist-Hoxhaist). We express our confidence - on the eve of another anniversary of the founding of the Communist Party of Albania - that this Section will be the successor of its best revolutionary traditions and that it will be for genuine Albanian Communists a rallying point that will ensure continued success in the struggle for those proud ideals for which their fathers and grandfathers gave their lives. On this special day, I as an individual, gleefully celebrate three historic events: the 97th anniversary of the victory of the Great October Socialist Revolution, the foundation of the Party of Labor of Albania and the foundation of the Albanian Section of the Comintern (SH). This is absolutely not accidental. The victory of the socialist revolution in Russia on November 7, 1917, the establishment of the Party of Labor of Albania on November 8, 1941 and the foundation of the Albanian Section of the Comintern (SH) on November 8, 2014 - these three brilliant events in the history of the international communist movement are closely linked to the world proletariat and to the historical destiny of the entire human race to get complete liberation. On November 7, 1917 a new era was opened in human history. 97 years ago, news shocked the world, as Russian workers, peasants and revolutionary intellectuals, under the leadership of Lenin and Stalin, led by the Bolshevik Party, came to power, making the ideal of communism triumphant on one sixth of the land. On this day, the cruiser Aurora was declaring a new era in human history, namely the collapse of imperialism and the beginning of a new era of establishing a socialist society. Marx, Engels, Lenin and Stalin foresaw the real history of human society. The October Socialist Revolution is not only related to the peoples of the Soviet Union as the greatest change in world history, because it also had a decisive impact upon the fate of mankind’s history. The October Revolution meant a turning point in the development of world's liberation movement, it provides the working people of all countries with a new force, with the confidence of final victory, launching the colonies and dependent countries into an unprecedented national liberation movement. Peoples considered the October Revolution as an encouraging example, and considered that the Soviet system is a typical representative of the pursuit of the future. October Revolution also stroke a deadly blow against bourgeois ideology, opportunism in the workers' movement, social-chauvinism and reactionary nationalism, so that millions of workers have hold high the banner of Marxism-Leninism. The Great October Socialist Revolution unveiled a new bright future for human race, and society raised higher the banner of liberation and national liberation. On November 8, 1941 a new era was opened in human history. After the victory of the great October Revolution, the revolutionary upsurge in the country and around the world provided conditions so that comrade Hoxha could lead the creation of the Albanian Party of Labor which won many battles through consolidating the dictatorship of the proletariat and on the basis of Marxism-Leninism. During its years of existence, the Party of Labor of Albania (PLA) was truly and consistently fighting for and defending the interests of the Albanian working class and also of all working people around the world. It struggled against modern revisionism and the new revisionist betrayal which attempted to make the revolutionary struggle of the working class go over a reformist, pacifist and revisionist road. It was against this anti-Marxist - Leninist - Stalinist – Hoxhaist tendency that the PLA constantly struggled. Under the courageous leadership of Comrade Hoxha, in the struggle to defend the purity of Marxist-Leninist principles, the PLA was conducted bravely in the fight against modern revisionism and the new revisionist conspiracy and blackmail. It resolutely refuted doctrines of class cooperation, “peace” in socialism, “peaceful” competition, the “three world theory” and other fallacies, and revisionist policy of collusion and yield to American imperialism headed by world imperialism. On November 8, 2014, a new era in human history will be also opened. After the disintegration of the People's Socialist Republic of Albania, over the years, the youth branch of the Communist International in Albania, under its central leadership, in defense of Marxism-Leninism-Stalinism-Hoxhaism organized an arduous struggle for the great cause of the people and the reconstruction of the proletarian dictatorship. This youth branch fought against imperialism, modern revisionism, neo-revisionism and international reaction then and now in a resolute struggle. In this struggle, this youth branch continues to exercise and accumulate a treasure of combat experience, to re-create Section of the Comintern (SH) in Albania! The flag of the Section under the banner of comrade Hoxha in Albania will be proudly fluttering in the wind! The establishment of this Albanian Section is a great victory not only for the Albanian Marxist-Leninists, but also for all those struggling for socialism and communism! Together, let Stalin’s and Hoxha’s ideas spread throughout the world, let modern revisionism and neo-revisionism be destroyed. The Albanian Section was established, and this will be something decisive in the history of the international communist movement and of all humanity! The Albanian Section will be a vanguard of the proletariat - the brilliant victory against the inheritance of the revisionist clique of renegade Alia. In this, a demarcation-line must necessarily be drawn between the Albanian Section and the Albanian communists and modern revisionists / neo-revisionists in Albania! This is absolutely vital if we want to achieve a great and historic victory in benefit of working class and working people of all nationalities, if we want to foster struggle for socialism in Albania and elsewhere as the decisive condition for victory! Dear Comrades, I sincerely wish you a lot of success in your noble fight for revolution and socialist reconstruction! Long live the Albanian Section! Long live Georgian, German and Portuguese Sections! Long live the Comintern (Stalinist-Hoxhaist)! Glory to the invincible teachings of Marx, Engels, Lenin, Stalin and Hoxha! we were informed that an Albanian Section will soon come to life, and our heart is very happy! In Eastern Europe today, you can hold high the banner of a fearless fight, and we have boundless admiration by you! We wish you victory in your struggle! May our common ideals be accomplished! We also express our tribute to Marx, Engels, Lenin, Stalin and Hoxha! Young communists like us will forever admire you! We will be singing in quartet! Our flag will be fluttering in the world! It will be fluttering, brilliant and bright! It is in our blood and in our luminous life! Bien venu camarade à la section, c'est un grand pas dans la défense de la pureté du Marxisme-Léninisme, théorie révolutionnaire toujours Jeune et efficace..
Vive le Marxisme-Léninisme scientifique sur les bases idéologiues des oeuvres de Marx, Engels, Lénine, Staline, Hoxha ! I welcome the comrades of the new Section. This is a big step forward to the defense of the purity od Marxism-Leninism in Albania. This revolutionary theory will always be young and effective. Long live the scientific Marxism-Leninism, the lessons of Marx, Engels, Lenin, Stalin, Hoxha! 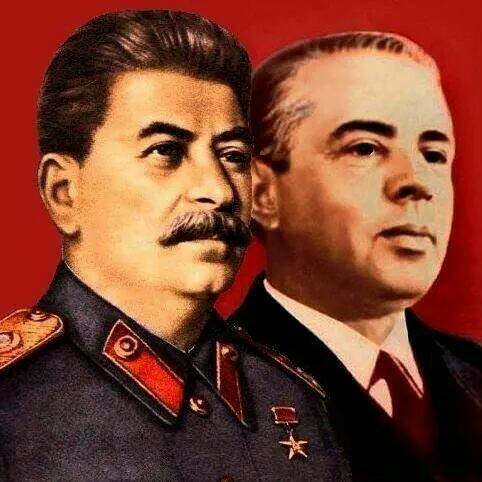 we are greeting the Communist International (Stalinist-Hoxhaists), and all communist parties M - L in the world! Long live the Marxist-Leninist communists in the World ! Long live the proletarian revolution and the dictatorship of the proletariat ! The Georgian Section of Comintern (SH) has received news about creation of the Albanian section! Creation of the Albanian Section of Comintern (SH) — new page in a great cause of preparation and a fulfilment of the World Socialist Revolution. We are especially proud and happy today, as each new section of Comintern (SH) — this again lighted torch of the World Socialist Revolution in this or that country! Comintern (SH) expansion by creation of its national sections — a unique correct way. And in spite of the fact that it occurs slowly and to the big obstacles, we are firmly convinced that other way at Comintern (SH) is not present. We with impatience waited creation of the Albanian section as Albania has shown to the world of a way of successful construction of a socialism after it remained the unique socialist country after a revisionism victory in the USSR and in other countries of national democracy. The Albanian people, under the direction of the Labour Party of Albania (PLA) and the great leader of the Albanian people, comrade Enver Hoxha, highly held a red flag of Marxism-Leninism till 1985. The heroic Albanian people have shown to all progressive mankind a bright example of a victory over capitalism and world imperialism within 40 years. And comrade Enver has enriched scientific communism with an immortal theoretical heritage — the new and extremely perfected ideological weapon in current and future struggle for world communism. Bourgeois ideologists consider it as the short period in the history of mankind, but the proletarian of the whole world arm with this short period for the future victories over capitalism, the future definitive and irrevocable victories of world proletariat over world bourgeoisie. The ideology of Comintern (SH) is based on the doctrine of five classics of Marxism-Leninism — Karl Marx, Friedrich Engels, Vladimir Lenin, Joseph Stalin and Enver Hoxha. The Albanian people remains in a world history those people which has presented to the world of the fifth classic of Marxism-Leninism — comrade Enver Hoxha. The Albanian people remains in a world history those people which the sample of struggle of the small people for the true freedom, for the clearing of a capital yoke, for proletarian democracy has shown to the world. The Albanian people remains in a world history those people which have shown to the whole world a successful example of struggle of the small people with fascist aggressors. The Albanian people remains in a world history those people which have shown to the whole world a successful example of building of a socialism only by own forces. These examples — the invaluable theoretical and practical inheritance for us, modern communists, modern Stalinist-Hoxhaists. We are modern communists — on the basis of the successful decision of some of the major theoretical questions, began to name ourself "Stalinist-Hoxhaists", having added to the arsenal doctrines of five classics of the Marxism-Leninism which integral part is Hoxhaism. Without this last it is impossible preparation and successful carrying out of the World Socialist Revolution. For this reason a main objective of world imperialism and world reaction is Hoxhaism. And as Hoxhaism inseparably linked with Stalinism (in our understanding, instead of in understanding of bourgeois ideologists) as Hoxhaism is successful ideology in struggle against capitalism, world bourgeoisie struggles with it by all available means. Such fierce struggle from bourgeoisie against the great socialist past of Albanian people and against Hoxhaism for us is the direct proof of that we — Sections of Comintern (SH) — stand on the right way. Experience of construction of a socialism in Albania was inseparably linked with experience of construction of a socialism in the USSR in 1917-1953 years. And now in the world there was such situation that on great successful experience of construction of a socialism in the USSR and in Albania historically inevitable model of construction of a socialism all over the world should lean. With confidence it is possible to tell that the base of a coming world socialism it becomes inevitable the Soviet socialism (1917-53) and the Albanian socialism (1945-85). The world history has disposed so what exactly to the Soviet people and the people of Albania honour of trailblazers from world capitalism to world communism has dropped out. In turn, these people never forgot about the very first practical steps of mankind to this direction — about the heroic Paris Commune and about the heroic french proletariat, the first lifted a great Red Flag on revolutionary barricades! For this reason creation of the Albanian section of Comintern (SH) has special value in world revolutionary movement, special value for Stalinism-Hoxhaism. The Georgian Section of Comintern (SH) for a minute does not doubt that those courageous revolutionaries who create the Albanian Section, will lift our revolutionary spirit on new heights, will lift our revolutionary flag over barricades of class struggle of all people. The Georgian section of Comintern (SH) is firmly assured that the Albanian Section of Comintern (SH) will use the best efforts for a conclusion of Albania from this positions when the internal national bourgeoisie and world imperialists have cast it into slavery and uncertainty when all enemies of Albania try to forge in every possible way its great socialist past, to extend about Albania or counterrevolutionary myths, or at all to be silent. Our Section is ready to render to the Albanian Section all feasible help in this struggle. Small Georgia has presented to world revolutionary movement of the fourth Classic of Marxism — Joseph Stalin. And small Albania has presented to world revolutionary movement of the fifth Classic of Marxism — Enver Hoxha. It is special honour for the Georgian and Albanian Sections of Comintern (SH). But it is as well a huge responsibility for both Sections! Our Sections always should be on the advanced positions of a world socialist revolution, they should justify completely the historical revolutionary mission assigned to them before own people and before the whole world people! Till 2014 on the Internet the set of books and other materials has been published by our fighting comrades. They have shown to the whole world the heroic socialist past of the Albanian people. They continue the revolutionary work now, too. Especially it would be desirable to note our Russian comrades who have created a site www.enverhoxha.ru. And also sites www.enver-hoxha.net, www.enverhoxha.info. In 2008 these sites have affected the decision of initiative group in Georgia definitively to rise on a position of Stalinism-Hoxhaism and to join the Comintern (SH). We hope soon to see and a web site of new Albanian Section of Comintern (SH). The Georgian Section, in case of need, is ready to help the Albanian Section in this work. The Georgian Section congratulates Comintern (SH) on creation of its Albanian Section on November, 8th, 2014 — in day of 97th anniversary of the Great October Socialist Revolution! Specially for this case our Section has processed and has laid out on the our web-site the restored masterpiece movie about the heroic past of the Albanian people — «The Great Varrior Skanderbeg», commonly created in socialist Albania and the socialist USSR in 1953 (http://www.joseph-stalin.net/proletarian_culture/cinema/cinema.html). For the Georgian people and for the Georgian Section of the Comintern (SH) a subject of special pride is that fact that a role of great Skanderbeg in this masterpiece movie has perfectly well played the outstanding Soviet Georgian actor, the winner of four Stalin awards, member CPSU(b) since 1939 Akaki Khorava. Unfortunately, while we have only a Russian translated variant of this movie. And in the future we hope by means of ours Albanian comrades to find also the Albanian variant of this masterpiece. Dear our Albanian fighting comrades — let do not frighten you temporary defeats in revolutionary struggle, temporary victories of various political parties of shopkeepers and landowners, and also imperialism slaves in Albania! Hold highly great banner of a socialism, a great banner of revolutionary struggle, a great banner of comrade Enver Hoxha, and the great Albanian people will answer to you with much stronger revolutionary struggle for the clearing! Let the Albanian Section of Comintern (SH) - created in 2014 - become an example for creation of other Sections in near future! Long live the great Albanian people! Long live the great leader of the Albanian and world proletariat, the fifth classic of Marxism-Leninism — comrade Enver Hoxha! Long live great names and doctrines of five Classics of Marxism-Leninism! Death and national shame to traitors of a socialism in Albania! Long live the Albanian Section of Comintern (SH)! 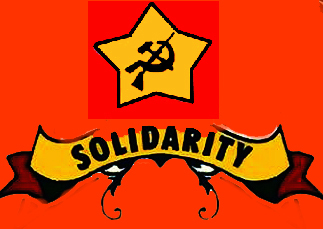 Long live Comintern (SH) — the unique World Bolshevist Party of the globalized world proletariat! Long live a coming World Socialist Revolution! Today, on this meaningful historical date, the Portuguese Section of the Comintern (SH) salutes our Albanian comrades on occasion of the foundation of the Albanian Section of the Comintern (SH) and wishes them much sucess and endless victories. This foundation has been an objective for us since the very beginning. Comrade Enver’s socialist Albania is – together with the Bolchevist Soviet Union of comrades Lenin and Stalin – one of the two authentic socialist countries that existed. There, proletarian dictatorship was a factual reality, a proletarian party of genuine Leninist-Stalinist type was leading the working classes and socialism was indeed being constructed in spite of and against all encirclements and attacks from world capitalist-imperialist bourgeois class and its revisionist, neo-revisionist and social-fascist lackeys. That’s also why comrade Enver’s Albania was always an example and a guiding-light for all true communists. We, Portuguese comrades, remember the times when socialist Albania supported our struggle first against fascism and then against social-fascism in Portugal. We did not forget the times when the Portuguese Communist Party (Reconstructed) and the Portugal-Albania Friendship Association were still in existence. Unfortunately, neo-revisionists in both countries finally managed to destroy socialism in Albania and to liquidate those Hoxhaist organizations in Portugal. But this defeat was merely temporary. Today, under the iron leadership of the Comintern (SH), united we struggle for the definitive triumph which can only be ensured through accomplishment of world communism always based in the invincible teachings of the 5 Classics of Marxism-Leninism: Marx, Engels, Lenin, Stalin and Enver Hoxha. Long live the internationalist friendship between Portuguese and Albanian workers! Long live violent world socialist proletarian revolution! Long live world armed proletarian dictatorship! Long live the Comintern (SH) and its glorious Albanian Section! Dear comrades of the Albanian Section of the Comintern (SH) ! The German Section of the Comintern (SH) likes to send to you and to all communists in Albania, to the Albanian working class and to the Albanian people our militant revolutionary greetings on occasion of the 73rd anniversary of the PLA - which was founded on November 8, 1941 - and on occasion of the foundation of the Albanian Section of the Comintern (SH) on November 8, 2014. The beginning of the path towards socialism and the beginning of the path back to socialism. Only under the leadership of the PLA could the Italian and German fascist occupiers defeated and chased, could the people's revolution be led to victory and the divtatorship of the proletariat be established. Your once most under-developed country in Europe became the beacon of socialism in Europe and all over the world. The Socialist Albania enjoyed best reputation and had many friends in the world. The overthrow of the proletarian dictatorship and the establishment of the dictatorship of the bourgeoisie in Albania has not damaged this best reputation. In the contrary. We defend the great achievements of Socialist Albania, we love comrade Enver Hoxha, the PLA and the Albanian people, and we are still friends, in good times and bad times - namely continuously since 1968 when our party, the KPD/ML of comrade Ernst Aust, was founded. You will remain forever in our hearts as one of the best shock troops in the great history of the revolutionary movement of the world proletariat. The friendship between our KPD/ML and the PLA lasts for nearly 46 years and will last forever ! Comrade Enver Hoxha and comrade Ernst Aust were connected by a deep personal friendship which was based on the principles of Marxism-Leninism. We are thankful for every day on which the PLA and the Albanian people have supported and taught us German comrades in the spirit of proletarian internationalism. Until today we propagate your great historical victories as a model within the German working class. It is self-evident that we, on our part, support the Albanian Section which is now still young and weak but which will grow and prosper quickly under the glorious banner of the PLA and comrade Enver Hoxha. The Albanian Section of the Comintern (SH) is conscious about the truth that the Freedom, Independence and Unification of the Albanian homeland can only be re-established through the armed socialist revolution and that this will cost as much blood as in times of the anti-fascist liberation struggle when the PLA was founded 73 years ago. You are also conscious about the fact that the re-establishment of the dictatorship of the Albanian proletariat and the re-construction of socialism in your country will cost you great sacrifices. But you will cope with all problems and difficulties if you are faithfully guided by the lessons of the 5 Classics of Marxism-Leninism and the love, confidence and support of the Albanian people. Comrade Enver Hoxha based the unity of party and people on the unity of the Albanian communists - beginning with the unification of the different rivalrous communist groups in a one and only unified communist party - on the 8th of November 1941. Today, there is a similar situation of different rivalrous communist groups in Albania, and you will overcome this weakness successfully if you correctly aplly to the teachings of comrade Enver Hoxha on the unification of all the Albanian communists in the new Albanian Section of the Comintern (SH). You will fight successfully at the head of the anti-neorevisionist struggle in your country as in times of comrade Enver Hoxha when he was guiding victoriously the struggle against modern revisionism all over the world. In this struggle against modern revisionism grew the friendship between the PLA and the KPD/ML. And the struggle against neo-revisionism will also strengthen the Albanian Section in particular and the Comintern (SH) in general. Dear Albanian comrades, we wish great victories to you with all our heart. The German Section of the Comintern (SH) promises to you that we will dedicated our work in supporting your Section and all the other Sections in the world revolutionary struggle of the world proletariat. We will support (by propaganda, by moral and material support) just such a struggle, - and only such a line - by the proletariat in all countries - without exception. Long live the internationalist friendship between German and Albanian workers! The Comintern (SH) sends to you flaming world communist greetings on occasion of the foundation of the Albanian Section of the Comintern (SH) and also on occasion of the 73rd anniversary of the founding of the Party of Labour of Albania with Comrade Enver Hoxha at the top. Your foundation is a great victory of Stalinism-Hoxhaism and for the young Stalinist-Hoxhaist world movement. We are filled with great joy and pride. This will strengthen our ranks and we will march with you all the quicker to our common goal, the world socialist revolution, world socialism and world communism. we are looking forward to form a strong collective with you and all the other Sections. I like to take the opportunity to address my thanks to the Sections of Germany, Portugal and Georgia, which were founded precisely on this day - three years ago. From the very beginning they committed themselves not only to follow - with the historic date of November 8, 2011 - the path of your glorious Party of Labour of Albania and our beloved leader Enver Hoxha, but also to do everything for the support of the foundation of the Albania Section. Our Sections in Germany, Portugal and Georgia, they all deserve our sincere thanks. Without their tireless work, there would be no Albanian Section. Long live the German, Portuguese and Georgian Section of the Comintern (SH)! Long live November 8, 2011 - the third anniversary of their founding! The many messages of greetings from all over the world are proof of the great sympathy that has been brought towards the comrades of the Albanian Section of the Comintern (SH). All communists all over the world have high hopes that one day socialism in Albania will blossom again and that the Socialist Albania of Comrade Enver Hoxha will shine again as a beacon throughout the world. Socialism in Albania is invincible, because it was always on the solid basis of the lessons of the 5 Classics of Marxism-Leninism. Long live the founding of the Albanian Section of the Comintern (SH)! You will unite all the brave successors of the great Party of Labour ! "The lessons of the October Revolution, the experience of the III. International in general and of the Bolshevik Party in particular, served the Party of Labour of Albania and the Albanian workers as a guide to their revolutionary path and inspire us in the fight for freedom, independence and socialism . " Enver Hoxha spoke here fully from our hearts. The Albanian Section of the Comintern (SH) follows the PLA of Comrade Enver Hoxha - the most outstanding detachment of the international communist and workers' movement. The PLA has not only gained the victory of the revolution and secured the dictatorship of the proletariat for more than 40 years, it has built not only socialism in the own country with great success, but it has also made the greatest internationalist contribution to the world proletariat and the proletarian world revolution. The PLA led the Albanian people to victory over the fascist invaders through relying on the own forces, but well-known, this happened as part of the anti-fascist world front under the leadership of Comrade Stalin. Today the Albanian Section is a detachment of the Comintern (SH) that will propagate, prepare and perform the socialist revolution in Albania as part of the socialist world revolution. The socialist Albania was constructed under the leadership of Comrade Enver Hoxha on solid Marxist-Leninist positions and showed the whole world that - even under the conditions of the brutal imperialist-revisionist blockade, even under conditions of severe crises, which went through the bourgeois-revisionist capitalist world - it was able to fearlessly advance on the path of socialism, basing the own forces on the support of the world forces of proletarian internationalism. The history of socialist Albania is the glorious history of the victorious leader of the international struggle against modern revisionism in power. The socialist Albania with Enver Hoxha at the head raised the banner of the global anti-revisionism by a maximum of what was feasible for a socialist country for the development, support and kindling of the struggle against modern revisionism in all countries of the world. History has confirmed that the defeat of modern revisionism in a country - even if this country was not yet so far developed as the socialist Soviet Union - is not only possible or probable, but also victorious in practice. Albania's struggle against modern revisionism was a prime example of the practical application and defense of the Marxist-Leninist theory of the revolutionary class struggle in socialist class society. Those who do not understand this peculiarity of the Albanian anti-revisionism - its international character, its importance for the world socialist revolution - do not understand the significance of the successful construction of socialism in spite of the capitalist-revisionist encirclement. The victory over the modern revisionism is not only the product of uneven development and advanced disintegration of the revisionist countries. This is a victory of the whole Marxist-Leninist World Movement with comrade Enver Hoxha at the head. The historical importance of the struggle against modern revisionism is not only characterized by the great intitiative of a small country like Albania - which broke through the imperialist-revisionist encirclement and which was the first island in the ocean of imperialist and revisionist countries - but also by the heroical outpost and pioneer for the final victory over revisionism on a world scale. Therefore: Not only those are wrong who forget the international character of the struggle against modern revisionism and who falsly understand the Albanian struggle against modern revisionism as a purely domestic and national phenomenon. Vice versa, also those are wrong who - though recognizing the international character of the struggle against modern revisionism - tend to look at this fight as something passive, which is only called to receive support from outside. In truth, the international struggle against revisionism does not only need the support of the individual countries, but the struggle against revisionism in the individual countries needs also international support to the cause of global and definitive defeat of revisionism. This truth must also be applied to the struggle against neo-revisionism of today. Stalinism-Hoxhaism is the only proletarian ideology which effectively defeats all kinds of "anti-revisionists" in words and revisionists in deeds. The pseudo-Marxist-Leninist thesis of the Albanian revisionists about the so-called "guaranteed" victory over revisionism in Albania corresponds to the pseudo-Marxist-Leninist thesis of the VII. 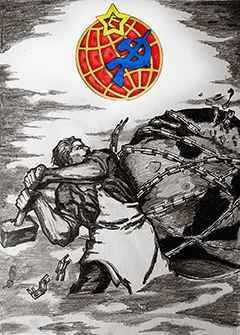 World Congress of the Comintern which consisted of the so called "guaranteed" victory of socialism in the Soviet Union. The so-called "guaranteed" victory of socialism and the so-called "guaranteed" victory of revisionism are two sides of the same revisionist coin ! Not only Lenin and Stalin, but also Enver Hoxha have always fought victoriously against these theses of capitulationism and liquidationism. Those who give up the struggle against revisionism, are becoming tools of the world imperialists as can be seen in Albania after the death of comrade Enver Hoxha. Victory over revisionism on a world scale is the requirement for the victory of socialism on a world scale . In world socialism, only the unavoidability of revisionism is guaranteed, but the struggle against revisionism on a world scale is unavoidable in the entire period of the dictatorship of the world proletariat - namely as long as classes exist. The victory over revisionism is not only the crucial and central question in a single socialist country, but one of the key questions of the proletarian world revolution. The fate of socialism in "one" country stands and falls with the overthrow of the whole system of world imperialism. This is one of the main reasons of the indispensability of the foundation of the Comintern (SH) and its Sections. No socialist country can guarantee the final victory over revisionism, as long as the defeat of revisionism is not guaranteed on a world scale. And abolition of the inevitability of the restoration of capitalism is only guaranteed by the victory of the socialist world revolution and the construction of world socialism. Therefore the Albanian Section contributes to the aim of the Comintern (SH) to abolish the inevitability of the capitalist-revisionist encirclement of the restored socialist Albania. The Albanian Section relies on the solidarity of all the other Sections of the Comintern (SH) in the same way as the PLA of Comrade Enver Hoxha relied on the solidarity of the Marxist-Leninist World Movement, on the national liberation struggles of the oppressed peoples and of course on the Stalinist world camp (as long as it was not yet liquidated by the revisionists). "Proletarian internationalism is the unity of thought and action of each country, in particular, and that of the world proletariat, in general." And so is also the proletarian internationalism of the Comintern (SH) characterized by the unity of thought and action of each section, in particular, and that of the Comintern (SH), in general. We Comrades of the Comintern (SH) cherish the PLA of Comrade Enver Hoxha and the Albanian people for over 45 years in unbroken loyalty. There is no other organization in the world who adheres so steadfastly and faithfully love to you. Our love and devotion to you is based on the principles of Marxism-Leninism-Hstalinism-Hoxhaism. The socialist Albania has done for the world revolution the greatest contributions and sacrifices, and therefore it is the honorable duty of the world proletariat, to give the Albanian working class and the Albanian people the solidarity that they deserve and need in the struggle for throwing off the yoke of enslavement of their exploiters and oppressors. To whom belongs Comrade Enver Hoxha? Comrade Enver Hoxha is the 5th Classic of Marxism-Leninism. He belongs to the world proletariat, to all oppressed and exploited peoples and to the whole mankind. He does not belong to any separate "privileged" group in Albania or elsewhere in the world. He belongs to all of us. And therefore, we all have the obligation - without exception - to unite all communists under the banner of comrade Enver Hoxha, no matter whatever the differences are. You cannot be a true follower of comrade Enver Hoxha if you do not unite all forces against the opportunists, against the revisionists, against the neo-revisionists. The Albanian Section is the organizational expression of the unity of the communists in the spirit of comrade Enver Hoxha. The Albanian Section of the Comintern (SH) is not at all an additional "rival organization" among the other organizations in Albania. 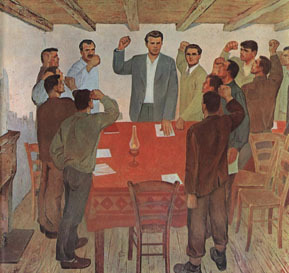 It is the task of the Albanian Section to unite all Albanian communists for the purpose to merge the actions of the Albanian proletariat with those of the proletariat of the other countries, thus with the revolutionary actions of the whole world proletariat - namely under the banner of Marx, Engels, Lenin, Stalin and Enver Hoxha. The revisionist Ramiz Alia-Clique and the criminal Berisha and Co praised hypocritically the life and work of Comrade Enver Hoxha. But after his death these traitors turned the dictatorship of the proletariat into the dictatorship of the bourgeoisie. It was the Comintern (SH) as the only communist organization in the world, which propagated the necessity of the renewed Albanian socialist revolution, the violent overthrow of the Albanian bourgeoisie and her lackeys, the reconquest of the dictatorship of the proletariat and the re-construction of socialism in the spirit of comrade Enver Hoxha. Our internationalist duty was primarily to support the reconstruction of the PLA in the spirit of Comrade Enver Hoxha with all our force. With the establishment of the Albanian Section the Comintern (SH) has kept word. After the Marxist-Leninist world movement was split, degenerated and liquidated by the neo-revisionists - after the death of Comrade Enver Hoxha - the Comintern (SH) raised the banner of proletarian internationalism as the only organization in the world and fought for the renewal of the world communist movement on the basis of Stalinism-Hoxhaism. We have declared war against the neo-revisionists and all the conciliators between neo-revisionism and Stalinism-Hoxhaism. Since our foundation in 2000 we wage a relentless struggle against the opportunists of the so called "4-and 1/2 Heads", namely against all groupings in Albania and all over the world who do not defend comrade Enver Hoxha as the 5th Classic of Marxism-Leninism. The overthrow of the dictatorship of the proletariat and the establishment of the dictatorship of the bourgeoisie took place in Albania not without the help of social democracy. The hostile Menshevik elements pursued their criminal aims secretly within the PLA already in lifetime of Comrade Enver Hoxha. After his death, they saw the time was coming for their coup of seizing power. The overthrow of the dictatorship of the proletariat took place in two stages. It was initiated by the capitulationists of the Ramiz Alia-Clique who had sworn "eternal loyalty" to Comrade Enver Hoxha (Hoxhaism in words, Anti-Hoxhaism in deeds). And this process of degeneration was completed by the establishment of the Social Democratic Party as an open anti- communist party which was leading the forces of the counter-revolution, which slinged mud at comrade Enver Hoxha, which arrested the faithful Marxist-Leninist members of the PLA and which liquidated the PLA. Thus, the Social Democracy is not only a tool of the bourgeoisie to prevent the working class from seizing revolutionary power, but the socialdemocracy also played an important role in the overthrow of the dictatorship of the proletariat and in the restoration of capitalism. And now that the cruel capitalism rages in Albania, socialdemocrats and revisionists perform their treacherous role as bourgeois agencies within the Albanian labor movement. It is their declared anti-communist goal to prevent the restoration of socialism in Albania - namely on the basis of Marxism-Leninism-Stalinism-Hoxhaism. In particular, the Albanian bourgeoisie tries to tie the working class to the "left" wing of the Social Democrats and the neo-revisionist organisations for the purpose to keep the workers under control and away from the violent socialist revolution. b) the Neo-revisionism, hiding behind the anti-revisionist doctrine of Enver Hoxha, but expressively opposite to comrade Enver Hoxha as the 5th Classic of Marxism-Leninism (= ideology of the representatives of the "4 - 1/2 heads"). The Neo-revisionism also occurs occasionally in "radical" forms of "left" opportunism and in centristic forms of reconciliation with Stalinism-Hoxhaism. Most dangerous is the neo-revisionist ideology which purports the "defence" of the doctrine of comrade Enver Hoxha in the struggle against revisionism. In truth, it is a bourgeois ideology which hides behind "anti-revisionist" phraseology. The Neo-revisionists try in vain to fight Hoxhaism with pseudo-"Hoxhaism". They support everything which does not touch and violate the dictatorship of the bourgeoisie. They struggle against everything which is in the interest of the Albanian working class and the Albanian workin people. The Albanian neo-revisionists focus their influence on the revolutionary forces who reject any approach to the right opportunism - namely as a betrayal of the working class, against those comrades who adhere faithfully to the principles of the 5 Classics of Marxism-Leninism. The Albanian neo-revisionists try to keep pace with the international revisionist and neo-revisionist camps and parties, whether with the neighboring Greek revisionist "KKE", with the Brussels Conference, with the ICMLPO or with revisionist parties like the CPUSA, who supported Obama's presidential election in 2008. Some neo-revisionists in Albania sympathize even with social-fascist states such as North Korea, Cuba, etc. which were once openly combated and unmasked by comrade Enver Hoxha and the PLA. The Comintern (SH) follows this path of comrade Enver Hoxha faithfully. All these different Albanian connections with the neo-revisionist world have absolutely nothing to do with the revolutionary connection and cooperation of comrade Enver Hoxha and the PLA with the Marxist-Leninist world movement. The Albanian Section will therefore cooperate in no way with revisionist and neo-revisionist parties and their various international camps and meetings. Of course, the Albanian Section defends the former glorious Marxist-Leninist world movement under the leadership of Comrade Enver Hoxha, no matter about the fact that it betrayed Albania after the death of comrade Enver Hoxha and that it disappeared in the mud of neo-revisionism. In the time of comrade Enver Hoxha the Marxist-Leninist world movement supported the PLA and the socialist Albania - and that is what counts. It is the nature of these various international neo-revisionist camps that they represent one or another variation of their eclectic "united front policy" instead of the principles of Marxism-Leninism. All their affiliated organizations have to be subordinated under this or that neo-revisionist so called "united front". But the organizations that raise the principles of Marxism-Leninism higher than unity with the neo-revisionists, are rejected, isolated and labeled as "sectarian" and "dogmatic" - namely as splitters of the revisionsit and neo-revisionist "united fronts". Currently - and for many years - the communist movement in Albania is deeply fragmented and split into different organizations. This fragmentation is not a coincidence. This is an indispensable systematic counter-revolutionary method of the bourgeoisie in a country where the people resisted the whole capitalist-revisionist world for more than 40 decades. It is not only the Albanian bourgeoisie, but the entire world bourgeoisie who is afraid of the return of socialist Albania in the spirit of Comrade Enver Hoxha. That is the reason why the bourgeoisie incites the Albanian communists against each other. And this is relatively easy as long as the bourgeoisie can rely on those social-fascist elements who had prepared and implemented the betrayal within the socialist state and the PLA. The Albanian Section must be aware of these remnants of social-fascist spies and agnets within the ranks of the current communist movement of Albania. There are also comrades who have not joined any organization, because they are of the opinion that all these organizations are more or less under the influence of neo-revisionism and not consistently fighting on firm Stalinist-Hoxhaist ground. The fragmented situation in Albania sums up the fragmentation on an international scale. But Albania has special features which differs from all the others. The love to Comrade Enver Hoxha is nowhere in the world deeper rooted in the masses than in Albania. The Albanian bourgeoisie and her imperialist masters from abroad are faced with the problem that Hoxhaism is extremely durable and imperishable within the borders of Albania. The Albanian people have been hardest hit by the current economic crisis. And by the corruption in the country, the popular discontent can quickly change into revolutionary hatred against the rulers, thus into upsurges, revolutions and finally into socialism. The Albanian working class will never forget the period of the power of proletarian dictatorship and the happy life in times of comrade Enver Hoxha. The love of the Albanians to Enver Hoxha is and will remain indelible. And the wilder the bourgeoisie rushes against the greatest leader of the Albanian people, the more determined he will be defended. This is an advantage over all other Sections of the Comintern (SH), and the Albanian Section will understand to use this advantage in the interest of the Albanian working people and the whole world proletariat. The Albanian Section does not only preserve the revolutionary legacy of socialist Albania, but will lead the Albanian working class to the overthrow of the bourgeoisie, to a new victory of the socialist revolution, to the re-establishment of the armed dictatorship of the proletariat and to the restoration of socialism. Although the Party of Labour of Albania was not a member of the Comintern, the great hero , Comrade Ali Kelmendi, made contacts with the Comintern in Moscow long before the foundation of the PLA. He carried the ideas of the socialist world revolution to Albania for the first time. On this day of foundation, on the 8th of November 2014, Albania is member of the Comintern the first time in history. Congratluation comrades ! Long live the Comintern of Lenin and Stalin ! The foundation of the Albanian Section is of great historical importance both for the communist movement in Albania and the communist world movement. From now on, one can not anymore speek of the Comintern (SH) as a certain "foreign body", coming from "outside". The Albanian Section of the Comintern (SH) is a thorn in the flesh of the Albanian bourgeoisie - in the middle of the country. The rulers of Albania will not stand idly by as you unfold class struggle in Albania. You will be directly confronted with all their hatred. And they will try to infiltrate their agents in your ranks to make difficult your life and your struggle - class against class. They were hoping to eradicate the PLA, however the founding of the Albanian Section is the best proof that the PLA lives and will live forever! You can be sure - in solidarity with the Albanian Sections are all the Sections of the Communist International and the entire invincible world proletariat. What did Comrade Enver Hoxha teach about the Comintern? "The world communism of today must be characterized by the revolutionary fighting spirit of the heroic times of the Comintern of Lenin and Stalin." The foundation of the Communist International is the precursor for the victory of communism throughout the world. The establishment of the Albanian Section is the precursor for the victory of communism in Albania. We are particularly pleased that there is now your Section in the homeland of Comrade Enver Hoxha - as well as we are particularly pleased that there is a Section in the homeland of Comrade Stalin, in Georgia. The Georgian comrades have expressed this peculiarity in their great welcome address. The Comintern (SH) is the standard-bearer of Stalinism-Hoxhaism throughout the world and especially in the homelands of Stalin and Enver Hoxha, the 4th and 5th Classic of Marxism-Leninism. We also have a Section in Germany, the homeland of Marx and Engels, the first two Classics. Now, we will focus on the foundation of the Russian Section of the Comintern (SH), in the homeland of the third Classic, Comrade Lenin. We are sure that we shall congratulate our new Russian comrades to the foundation of their Section not later than on the 100th anniversary of the Great October Socialist Revolution, in the first socialist country of the world, where the glorious Comintern was founded under the leadership of Lenin and Stalin. Dimitrov liquidated the Comintern in 1943. However, we have re-constructed the Comintern in 2000 and we will found the Russian Section in the former center of the socialist world revolution. With our Sections in all the homelands of the 5 Classics of Marxism-Leninism, the Comintern (SH) will provide a strong basis for the development of new Sections around the world. "The proletarian International has not perished, and will never perish. It is alive and will live in future!" The foundation of the Albanian section is the living proof of Lenin's prediction. Long live the unification of all Albanian communists in the Albanian Section of the Comintern (SH)! Long live the socialist world revolution! Long live the dictatorship of the world proletariat! Long live the re-establishment of the dictatorship of the proletariat in Albania! Long live the united, independent and socialist Albania in the spirit of Comrade Enver Hoxha! Long live the socialist Albania in a socialist world! on behalf of the Communist International (Stalinist-Hoxhaists! Workers of all countries - unite ! The workers of every country are part of the world proletariat and they unite as parts of the world proletariat. Accordingly, the Sections are part of the Comintern (SH) and they unite as parts of the Comintern (SH). The world proletariat has no other weapon in the struggle for political world power than its world organizations - with the Communist International at the top. for the violent overthrow of the rule of the world bourgeoisie, for the dictatorship of the world proletariat, for the removal and abolition of world capitalism, for the construction of world socialism and for the global transformation of its advancement into world communism. The world proletariat is guided by the ideology of Marxism-Leninism-Stalinism-Hoxhaism. The Comintern (SH) was founded on the basis of the teachings of the 5 Classics of Marxism-Leninism, and this does also concern to the foundation of every Section of the Comintern (SH).